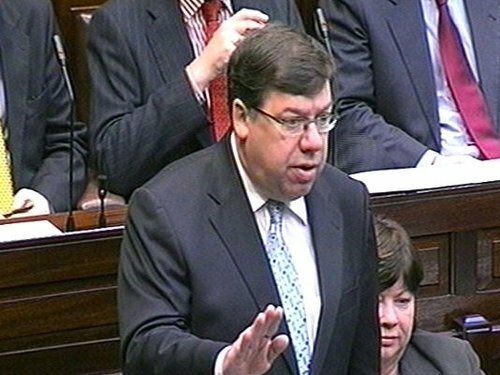 The Dáil has been debating the Budget presented by Minister for Finance Brian Lenihan yesterday. Before the budget debate resumed this morning Leader’s Questions was dominated by the measures announced yesterday. 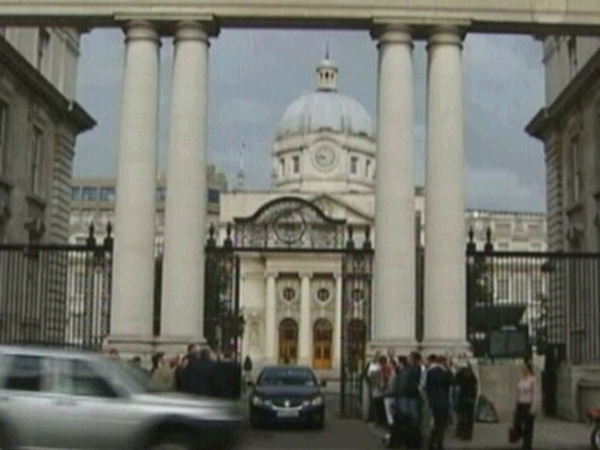 Fine Gael leader Enda Kenny described the Budget as 'one of the most swingeing and savage' in years. He said every single person in the country will have to pay for the Government's mistakes. Labour leader Eamon Gilmore asked the Taoiseach which of the '39 taxes and charges' he was most embarrassed by. The Taoiseach said that if Labour contended that there should be no tax cuts then it would have to cut spending by €5.5bn. There were also angry exchanges about the withdrawal of the medical card for people over 70 years of age. The Taoiseach has also told the Dáil that in the coming weeks he will announce details of public sector reform that will include a 'rigorous appraisal of staffing levels'. With ministers roaring their support Mr Cowen acknowledged that people would be worse off, regretted that his Government had to make hard decisions, but insisted that if they had not other services would ultimately have to be cut. Last night, a late night sitting saw the Government comfortably win a series of votes on measures including an income levy, a VAT increase, and higher excise duty on petrol, cigarettes and wine. Increases on cigarettes, wine and petrol, came into force immediately. The VAT increase applies from December, while the income levy and motor tax increases will operate from the start of next year. Meanwhile, the Ceann Comhairle and the Leas Ceann Comhairle have both confirmed they will take a 10% cut in their salary next year, following yesterday's announcement of a ministerial pay cut. John O'Donoghue and Brendan Howlin were not included in the announcement but both have indicated they will volunteer to take a reduction.